We love creating beautiful designs for Loudoun County. But we know that you have wonderful creative instincts as well. That's why we are offering you the opportunity to design your own centerpiece using the beautiful fresh flowers we will be getting in to our Leesburg studio. 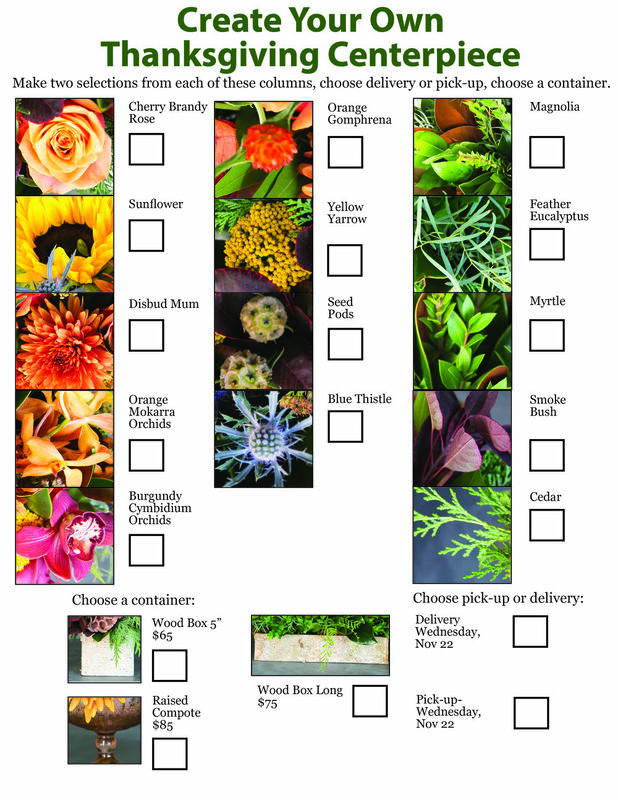 Take a look at the flowers, then use the form below to submit your design. Thank you! We will process your order and contact you with any questions.